← What to Do with Visitors to NYC? A Round-Manhattan Paddle! Ailsa’s travel-themed photo challenge this week is Tilted. 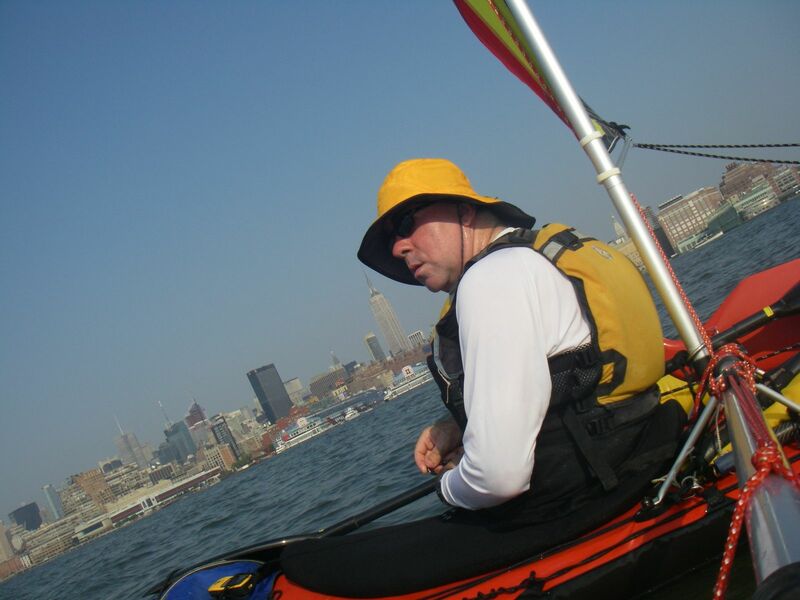 More about my kayak sailing adventures can be found here, here, and here. This entry was posted in Kayaking, Photography and tagged Kayak Sailing, Photography, postaweek, postaweek2013, Tilted, Travel, Weekly Photo Challenge. Bookmark the permalink. It must have been a lot of fun going through that set of images! This is a great one for the theme. So much fun – no use being angry I guess! Perfect for the theme! It’s a great shot of you, even if it tilted. I’m glad you shared it (and can have a sense of humor about it). I have absolutely no problem with tilted photos :-) Thanks, Nancy! Nice to see you but not tilted !!!! You’re not tilted. Manhattan Island is heeling, that’s all.